Traveling can be a rewarding experience that broadens your horizons. But before that can happen, you need to deal with the stress of getting past airport security. In early 2016, Ivelise Hernandez left her home in Tampa and made her way to the St. Petersburg-Clearwater International Airport with her boyfriend. According to Hernandez, she was heading to Pittsburg, Pennsylvania for a few days. While she was excited for her short trip away, Hernandez was slightly stressed about getting to the airport on time and getting through security with plenty of time before the boarding and departure. After arriving at the airport, Hernandez got in the security line with her boyfriend Rico, who agreed to stay and wait with her. While in line, Hernandez noticed that the line was barely moving. When she looked to the front of the line, Hernandez noticed that a man was having some trouble getting through security. Based on what she could hear, it seemed the man had an item that couldn’t be taken through to his gate. Hernandez and Rico watched on to figure out what exactly was going on. At that point, they could see the man in the front of the line pleading with the TSA officer. While she couldn’t hear exactly what the man was saying, it was obvious that he was starting to get upset. For several minutes, Hernandez watched with her boyfriend as the scene unfolded before their eyes. According to Hernandez, she couldn’t see what the item was as the man had it packed up inside a box. After minutes of begging and pleading, the man seemed to give up. It was clear he didn’t want to have to throw the item in the garbage, he realized his plane was taking off soon and that he had to get to his gate. If he stayed and continued to make a scene, he knew he would likely miss his flight. After the TSA agent told him once again that the item could not be carried on, the man looked heartbroken. With no other choice, the stranger was forced to toss the box in a nearby garbage bin. Hernandez watched as the man threw the item in the trash with tears in his eyes. According to the Florida native, her heart broke as she watched the man walk off in tears. After the man walked off to his gate, Hernandez couldn’t stop thinking about what she had just witnessed. She also couldn’t stop wondering what could possibly have been inside the box. Whatever it was, it was clearly very important to the stranger. While saying goodbye to her boyfriend, Hernandez begged him to go through the garbage, retrieve the box, and take it home. She explained that the item was clearly extremely valuable to the man and that she wanted to try and return it to him if it was possible. After getting through security, Hernandez boarded her plane heading north to Pennsylvania. During the entire flight, Hernandez couldn’t stop wondering what could have possibly been in the box to have left the stranger so devastated about losing it. Hernandez instantly understood why the man had been so heartbroken to throw the snow globe in the trash. 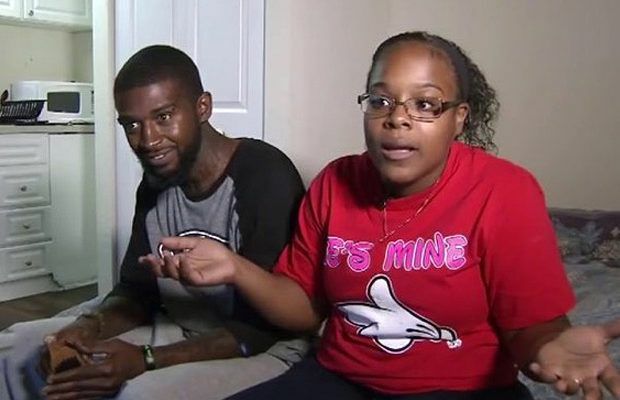 At that point, the Florida woman was more determined than ever to find the man she saw in the airport and return the sentimental object back to him. So when Hernandez returned back from her trip to Pennsylvania, she immediately got to work. Figuring social media would be the easiest way to share her message, Hernandez posted photos of the snow globe on her Facebook and explained the situation. “We felt bad about the situation and want to find out who these people are so we can return their gift out of the kindness of our hearts,” Hernandez wrote in the post. Hernandez also asked her friends to share the story so that it could hopefully reach someone who might know who the snow globe belonged to. “I thought it would share a couple hundred times, but as the day went on, it was more and more. Thousands kept adding on,” Hernandez told FOX 13 about the post, which quickly went viral. Within several days, the post had been shared about 50,000 times. At one point, an executive at Things Remembered saw the post and immediately recognized the snow globe. According to the woman, the globe appeared to be one that her company manufactured, so she searched through the company’s sales records hoping to find the buyer. The executive managed to find the buyer, a Florida woman named Linda Modry that purchased the snow globe in a St. Petersburg store. The woman reached out to Hernandez and passed along Modry’s name and contact information. At that point, Hernandez called Modry to explain she had her snow globe. Hernandez, on the other hand, doesn’t think she did anything. “My mom always raised us to always be good to people. If it was me and I lost my snow globe, I’d want the same thing to happen to me,” Hernandez said about the rewarding experience.